Since 2016, we’ve all enjoyed Safari Joe’s H2O Water Park at the corner of 21st Street and Yale Avenue. Of course, the park’s Shark Beach Bar has been well received, providing awesome beach-side food and drinks adding to the fun. Now, Tulsa’s hottest wave-side nightclub has spilled over into the form of a new restaurant, between 15th Street and 21st Street on Yale. 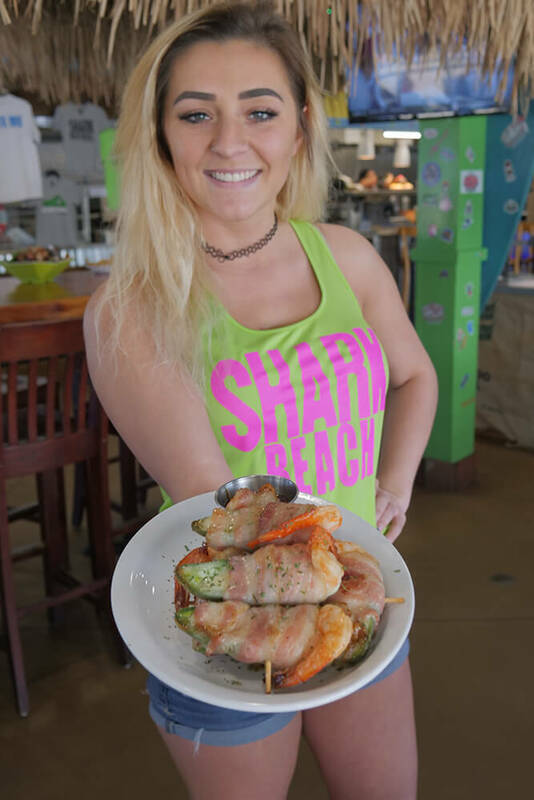 Appropriately named Shark Beach Grill, the restaurant brings even more of the summertime fun, beach atmosphere and fantastic food Tulsans have enjoyed in the water park during warmer months. The minute you enter, you’re greeted by a friendly cabana girl who is ready to find you a seat at the bar or one of the many tables spread around, or at the restaurant’s centerpiece, a huge thatch-roofed seating area. With a high-tech audio-visual package throughout the restaurant, they’re ready for Thursday night karaoke, the big game, or just the right amount of ambient music in the background. Whether you’re close to the front, near the big screens, or out on the patio during the summer months, you’ll enjoy all the events, while still being able to talk to the person across the table. With a selection of fun, laid back music, the restaurant feels like an eternal luau. 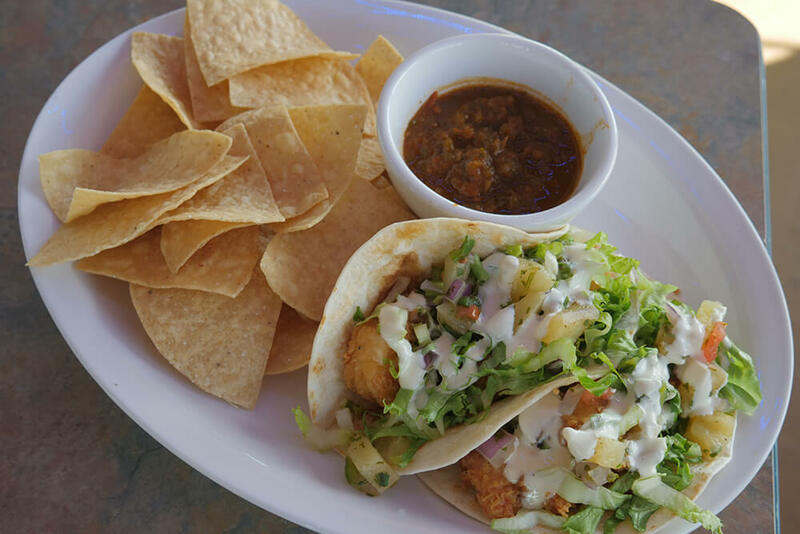 From the fresh and aromatic steak or chicken quesadillas to the spicy and flavorful buffalo chicken sandwich, they’ve ratcheted up their culinary standards more than a couple notches, compared to what was already top-shelf beach food in the water park. As far as drink options, the grill provides a considerably more diverse selection of tropical specialty and frozen drinks, as well as many of the same domestic and import beers available at the Shark Beach Bar inside the water park. Since 2016, we’ve all enjoyed Safari Joe’s H2O Water Park at the corner of 21st Street and Yale Avenue. Of course, the park’s Shark Beach Bar has been well received, providing awesome beach-side food and drinks adding to the fun. Now, Tulsa’s hottest wave-side nightclub has spilled over into the form of a new restaurant, between 15th Street and 21st Street on Yale. 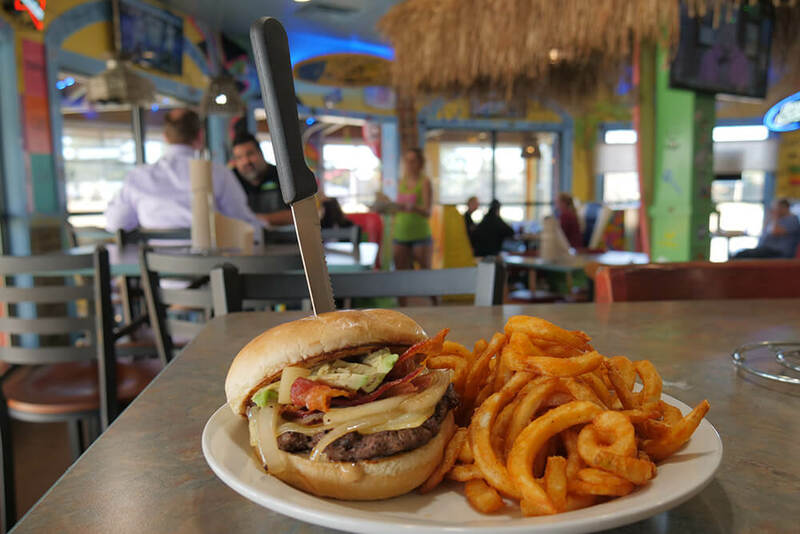 Appropriately named Shark Beach Grill, the restaurant brings even more of the summertime fun, beach atmosphere and fantastic food Tulsans have enjoyed in the water park during warmer months. The minute you enter, you’re greeted by a friendly cabana girl who is ready to find you a seat at the bar or one of the many tables spread around, or at the restaurant’s centerpiece, a huge thatch-roofed seating area. With a high-tech audio-visual package throughout the restaurant, they’re ready for Thursday night karaoke, the big game, or just the right amount of ambient music in the background. Whether you’re close to the front, near the big screens, or out on the patio during the summer months, you’ll enjoy all the events, while still being able to talk to the person across the table. With a selection of fun, laid back music, the restaurant feels like an eternal luau. Of course, the real fun begins with the menu. 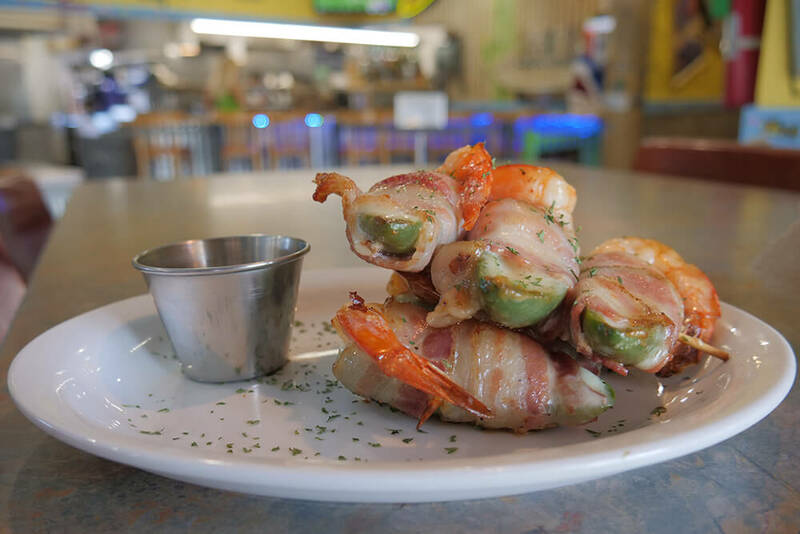 For starters, ordering the shark bites appetizer is nearly a meal in its own right and one you’ll be looking forward to ordering again: six jumbo shrimp, grilled perfectly, stuffed with jalapeno and cream cheese, wrapped in bacon. Dip these bad boys in the restaurant’s signature tropical-infused sweet and spicy sauce and you’ll be scheduling your next vacation right there at the restaurant. The restaurant’s director of operations, Baldo Rodriguez, says the menu coming from the grill is fresh and unique, yet simple in a way that ensures everyone will find something they love. 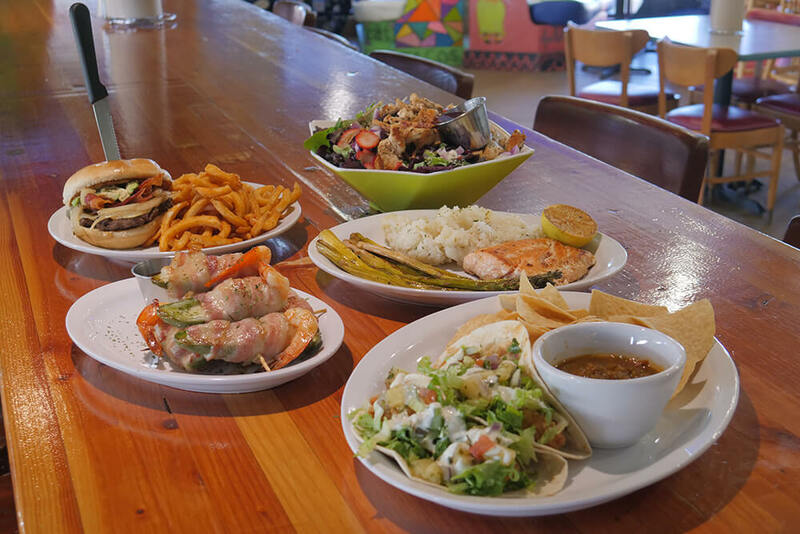 From the fresh and aromatic steak or chicken quesadillas to the spicy and flavorful buffalo chicken sandwich, Rodriquez says they’ve ratcheted up their culinary standards more than a couple notches, compared to what was already top-shelf beach food in the water park. The entree menu is quite extensive and truly aims to please anyone coming through the door. 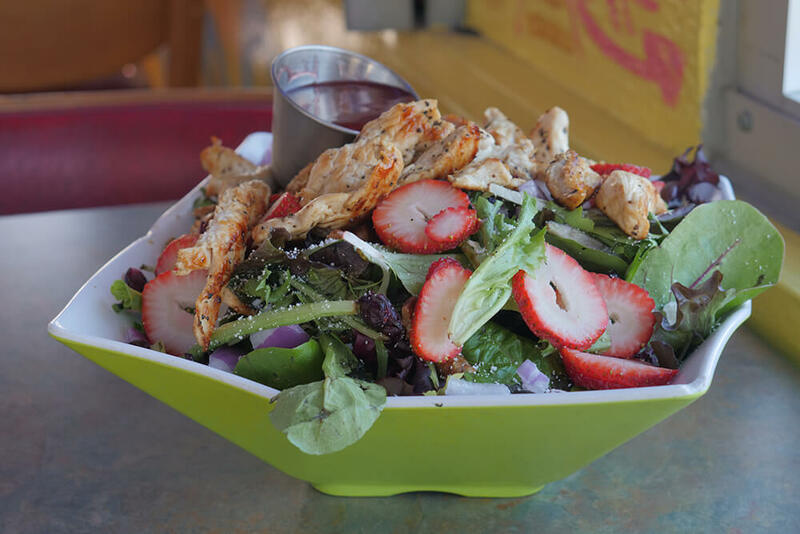 The salads, especially the Strawberry Fields, all provide that perfect mix of fruits and veggies, with light and flavorful dressings. Chicken wings, wraps and tenders come out piping hot, smelling perfectly grilled and ready to eat. Yummy taco and burger dishes, each with their own deliciously unique tropical spin, come with rich, tasty flavor and look great when they bring them out to the table. 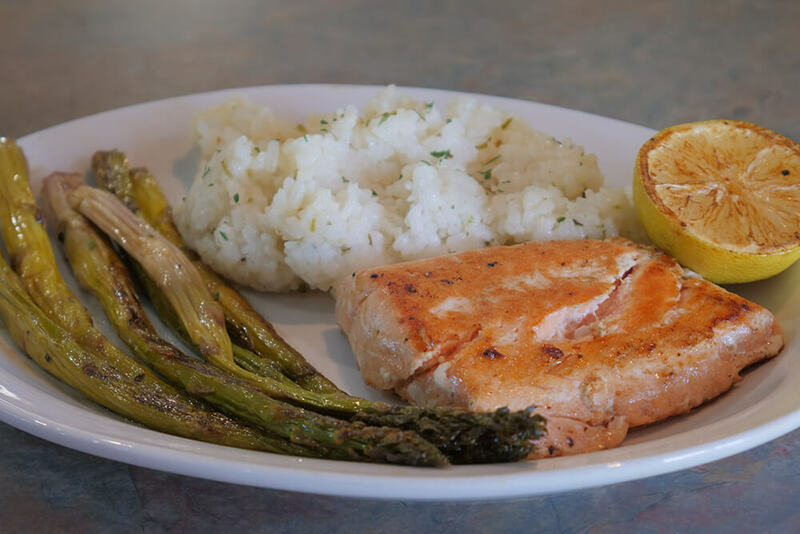 The Cajun shrimp and the aloha salmon are two of the savoriest dishes coming off the grill. Choice meat, cooked just right, satisfies anyone with an appetite for great food and a good party. As far as drink options, the grill provides a considerably more diverse selection of tropical specialty and frozen drinks, as well as many of the same domestic and import beers available at the Shark Beach Bar inside the water park. When it’s time for a break from the mundane, the Shark Grill’s bartender, Kammie Hall, says that the drinks prepared by bartenders scream staycation. Other specialty drinks Hall says the regulars have already warmed up to are the Push Pop, Cake by the Ocean and the Green Lizard. The Push Pop, says Hall, looks cute and tastes amazing, with the perfectly sweet combination of Captain Morgan, orange juice, Sprite and a splash of top-shelf grenadine. Try the bar’s Cake by the Ocean and you’ll enjoy a sprinkled rim that touches the tongue just right and finishes with a smooth pineapple and Malibu coconut liqueur combo. For a refreshing, yet knock-your-flip-flops-off kind of melon cocktail, the Green Lizard is just waiting to be consumed by anyone wishing to escape to the beach. Melon liqueur, vodka, and lime, this drink instantly takes you to that sandy destination where you can dip your toes in for a while.